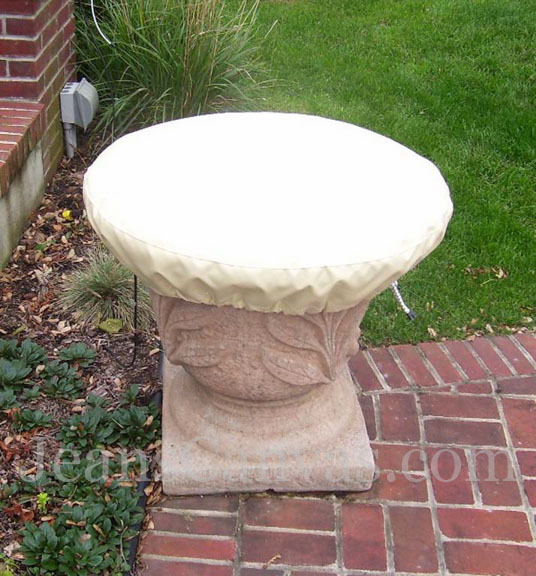 Statues, Fountains, and other ornamental items like these have one purpose, to beautify your property. 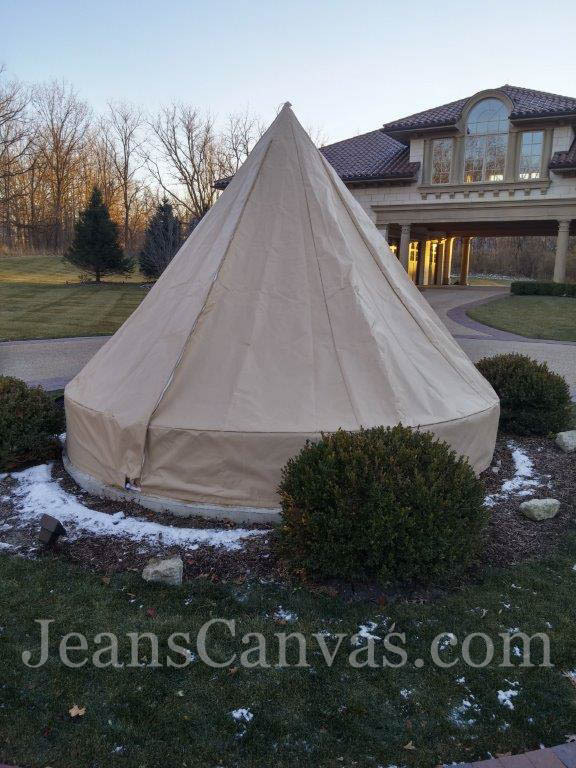 Help to keep them looking beautiful by protecting them with a custom cover from Jean's Canvas Products. 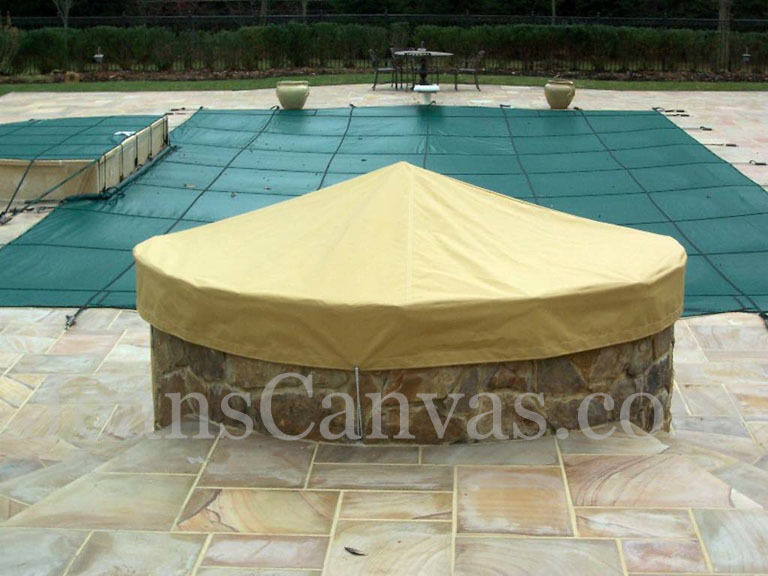 With over 30 years in helping customers protect their investments, we can help design the cover that will function best for you, without looking unsightly. 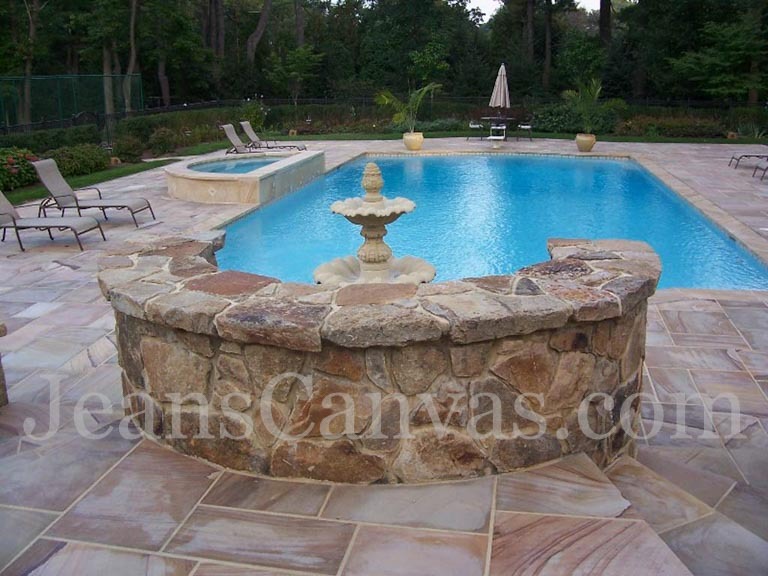 Call our knowledgeable and helpful design team today for a Free Estimate. 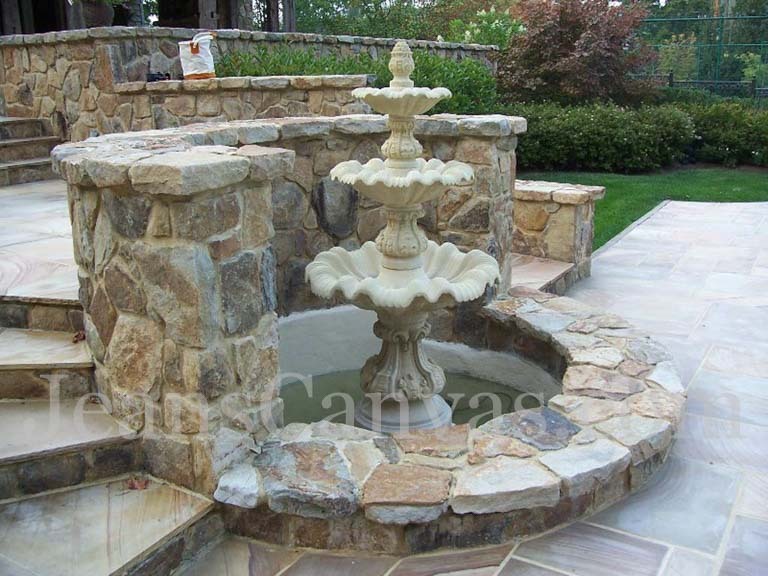 This fountain was fabricated from our heavy weight vinyl, expertly fit and installed to combat the elements during the winter. 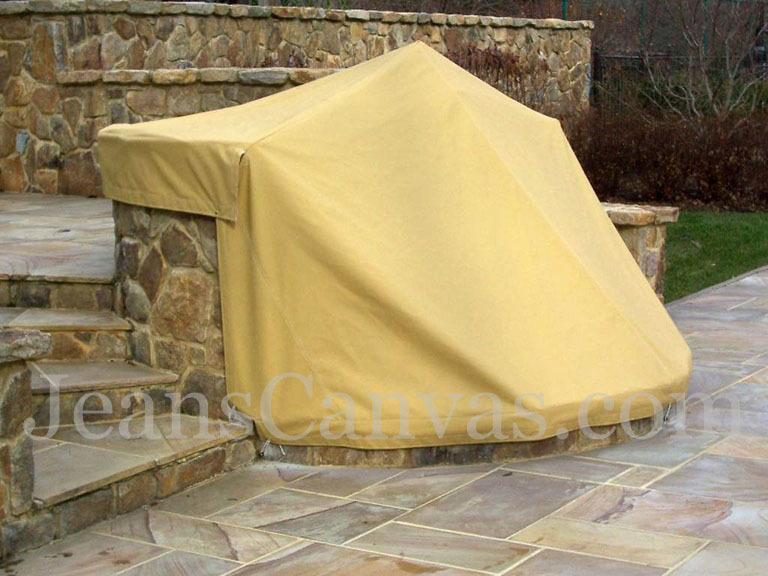 The covers for these statues and fountain area were fabricated from our three season fabric and provide protection from the elements with easy handling. 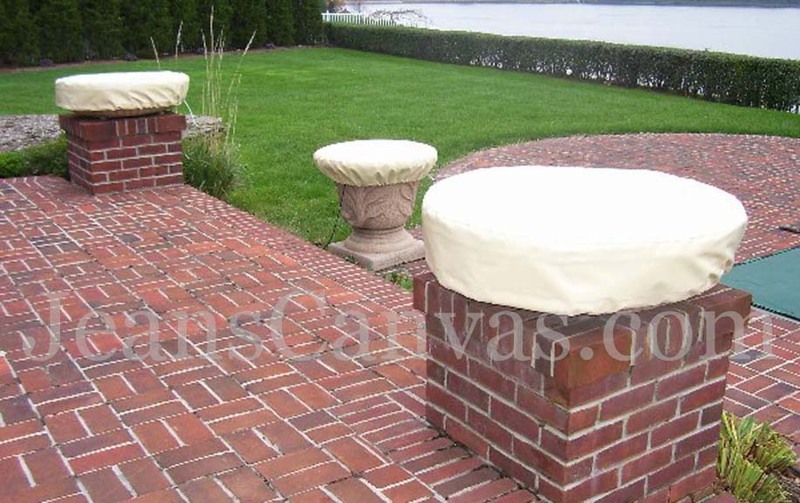 These planters have been fitted with protective vinyl covers that will keep the elements from deteriorating the planters and act as insulators for the plants.